Peaceworks: Time to Step Out for the Climate: Why We Are Walking 5K on Sept. 16. Time to Step Out for the Climate: Why We Are Walking 5K on Sept. 16. Well, the answer is obvious, isn’t it? Or at least it should be. 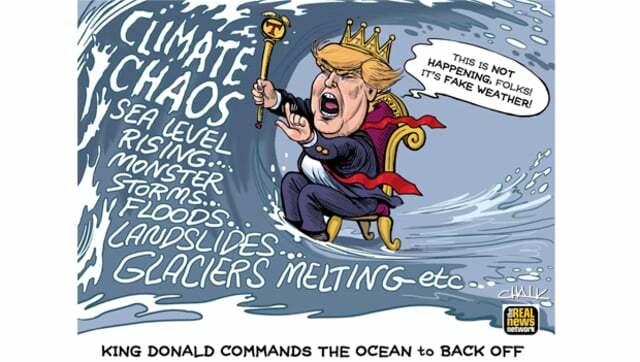 Sad reality is that we see an actual disaster—an existential threat—Climate Catastrophe, looming larger every day. Yet those making the rules in our nation’s seat of power, Washington, DC, are not just saying, “Don’t worry, we can ignore this.” Rather they are actively dismantling the inadequate, but somewhat helpful, steps taken toward the end of the Obama administration. 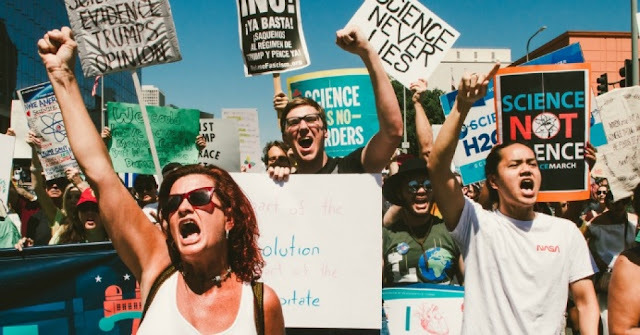 Our question for you: Are you going to sit on the sidelines, or are you going to step out to take action commensurate with the urgency of dealing with the Climate Crisis? Walk 5 kilometers? Why bother? Does it really do any good? Aren’t there more important things to do? These are all good and valid questions, and we, here at Peaceworks, are happy to share our answers. First, for those who haven’t heard, Peaceworks is holding our fourth annual 5K Walk for the Climate on the afternoon of Sunday, Sept. 16. We’ll be gathering starting at 1 p.m. at Courthouse Plaza, and kicking things off with music by Band of Brothers followed by a short rally. All Boone County area candidates for legislative seats—state and federal—have been invited to participate in a Candidate Open Mic to share their views on climate change. We then will walk as a group, carrying signs and banners, through downtown CoMo and the MU campus. The walk is 5K, which is approximately three miles. Why Walk? This is a visibility event, not a race. Its primary purpose is putting the Climate Crisis front and center and insisting that we move forward as quickly as possible to address this immanent threat. The more of us who turn out to rally, to hear the candidates and to walk, the more attention we will bring to bear. We have all observed the melting polar ice; the unprecedented fires; the rising seas; the increasing frequency of extreme weather events including super-storms, floods, droughts, heat waves and more. We know that what we’re seeing is exactly what the climate scientists have predicted for decades and that things are going to get worse. Prompt action, however, holds the potential for avoiding some of the worst consequences of climate change. But this requires responding ASAP, which, in turn, will only happen if politicians decide that they can’t afford to ignore climate change any longer. Even though addressing climate change is arguably the most significant issue facing humanity this century, the media mainly treats the climate as a third tier issue. And most politicians tend to ignore it unless we hold their feet to the fire. That’s why we need YOU to join us on September 16; rally with us to demonstrate broad support for prompt and effective climate action. ● First of all, elected officials and candidates are invited to the event. Those who don’t attend will hopefully hear about it through the media. Either way, they will know there are concerned citizens speaking out. ● And those who participate will be buoyed by the sense of solidarity that we feel when we come together with likeminded folks around a shared objective. Participating, we breakout of our sense of isolation and recognize we are not alone in caring for the Earth and grieving for the fate of future generations. ● Finally, each of these impacts is magnified if our numbers are larger. Should you choose to participate you not only have an impact yourself, but you amplify the impact of others who have come out for the rally and the walk. And, by the way, if you are not able to walk the 5K route we encourage you to come to the rally. Then, if you can walk part of the route, that would be great, and, if you can’t, being part of the rally is most appreciated. Is this a Walkathon? Those who choose to are invited to also help us raise money for our climate advocacy work, but the fundraising piece is optional. If you’d like a sponsor sheet, you can CLICK HERE to access one. Peaceworks does need funding support and your support is most welcome, but, again, this is not the main purpose of this event. There are free T-shirts and prizes. Details on this are on the sponsor sheet. For More Info: We really hope you’ll join us on Sept. 16. If you plan to attend or want more info and are on Facebook you can find our FB event if you CLICK HERE. You can also use the event to invite your friends. You can also call us at the Peace Nook at 573-875-0539 or e-mail us at mail@midmopeaceworks.org. Together, we can make this one powerful event advocating for climate sanity. Please be part of it and help us build it. The future is in our hands. Let’s not blow it. There’s Also an Informational Seminar: In addition to the Climate Walk on Sept. 16, there will also be an informational seminar on Climate, Jobs and Justice taking place from 1-5 p.m. on Saturday, Sept. 8, in conjunction with Rise for Climate events around the country. Peaceworks is joining our climate allies in co-sponsoring this event. We encourage you to attend both. Come learn on Sept. 8 and come demonstrate on Sept. 16. Details on Facebook at CLICK HERE, or give us a shout.